The new LEDVANCE product families for shop lighting, which were announced at Light+Building, will become available at wholesalers in time for the new lighting season. The extensive portfolio of state-of-the-art LED luminaires and lamps covers virtually all the lighting requirements of small boutiques right up to large supermarkets – from accent lighting and highlighting for specific products to uniform illumination of aisles and shelving. Tracklight Spot from LEDVANCE is an extremely compact family of spotlights for the widely used three-phase power rails. In keeping with the new LEDVANCE “Scale” design language, the form and appearance of the luminaires are both stylish and minimalist, resulting in a high recognition value. This is further enhanced by the three-dimensional elements at the back of the luminaire head. 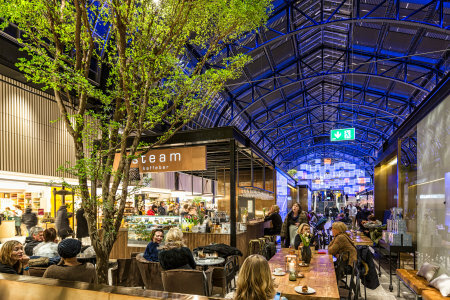 Three different housing sizes were developed to keep the 25, 35 and 55 W spotlights as small as possible and meet the demands of many architects and shop fitters for small inconspicuous luminaires. The housings also accommodate the control gear. The Tracklight Spot products can be tilted and swiveled to highlight almost any object in the room. To achieve the desired effects, 15, 24 and 38 degree reflectors are available. Thanks to the bayonet connection and with the aid of a simple suction cup they are very easy to replace. The aluminum reflectors with their black ring provide excellent anti-glare properties (UGR<16). Color rendering is excellent at CRI>90. The high-quality die-cast aluminum housing is available in matt white, matt black or concrete gray. 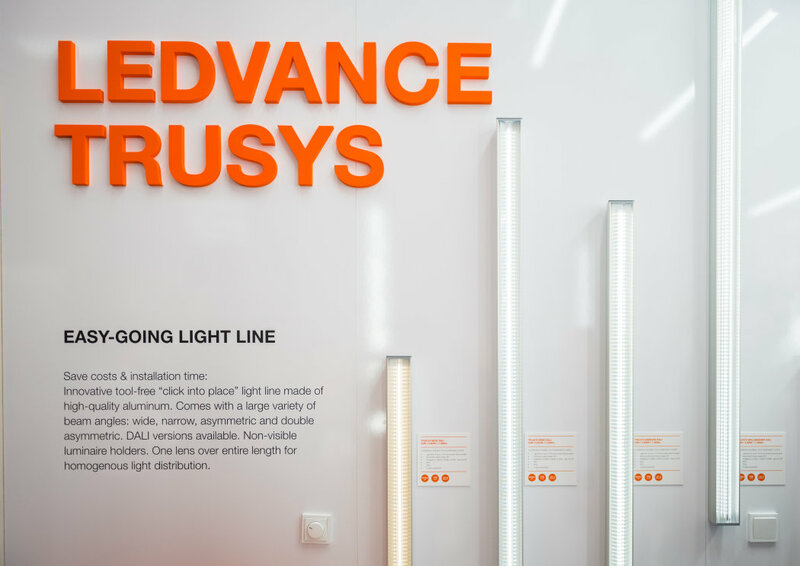 LEDVANCE’s new trunking system, which goes by the name of TruSys, offers uniform illumination for merchandise and aisles, for example in supermarkets and discount stores. This versatile system consists of rails and flat linear, so called lighting inserts that installers can quickly and easily click into position – as continuous or intermittent light lines. Energy efficiency is high at 135 lumen per watt. The exclusive “Scale” luminaire design is also used for the TruSys family with its high-quality and lightweight anodized aluminum housing. The TruSys luminaires can be mounted on the ceiling or can be suspended. 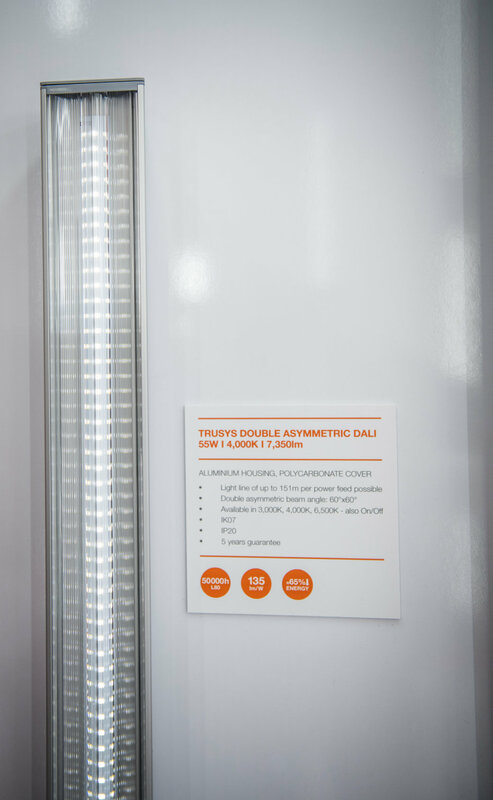 The mounting brackets are recessed in the rails and therefore almost invisible from the outside, which adds to TruSys’ clean appearance. Four different lens versions are available for optimum emission characteristics – double asymmetric for illuminating two shelves, wallwasher for shelving on one side or highlighting of walls, wide beam for wide-area illumination in low-ceiling spaces and narrow beam for high ceilings, for instance in storage areas. The new Downlight Comfort luminaires with their very good low-glare properties are particularly suitable for basic illumination in retail areas. The installer can select the desired light color of 3000, 4000 or 5700 K by means of a small slide switch on the back side. In consequence, the Downlight Comfort is effectively three products in one. That’s good news for wholesalers as they only have to keep one type of downlight in stock. A quick-connect terminal saves additional time during installation. Type of protection IP54 means that the Downlight Comfort can also be used in covered outdoor areas. The new Spot Vario is a highly versatile recessed spotlight. With the luminaire head fully recessed it can be used as a classic downlight. With the luminaire head extended it can be used as a wallwasher. Like the Tracklight Spot, it has a black anti-glare ring. Spot Vario is easy to install because it is connected to an external driver with a bayonet connection. The luminaire and the ECG can therefore be easily separated to allow DALI or DIM devices to be connected. 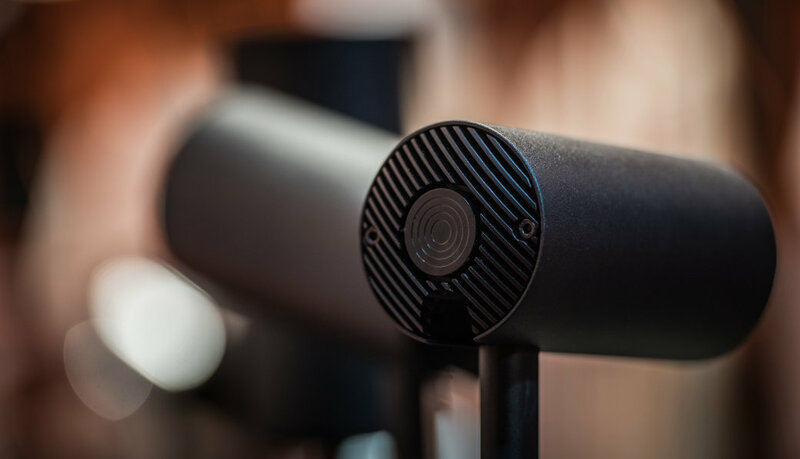 The new Spot Multi, a versatile cassette spotlight, has cardan joints for the luminaire heads so they can be adjusted in any direction to provide a high degree of flexibility in illuminating a room whenever the layouts are changed. This is an important consideration for fashion boutiques, for example, where a single luminaire has to provide both basic illumination and flexible accent lighting. With its broad portfolio of LED retrofits LEDVANCE offers excellent options for existing luminaires. The new AR111 reflector lamps and the PAR16 and MR16 lamps in high and low-voltage versions have excellent color rendering (CRI 97), making them perfect replacements for halogen lamps. The same applies to the LED lamps in Classic A, Classic B and Classic P designs (CRI 95). With the exception of AR111, all the lamp bulbs are made of glass. All above-mentioned luminaires and lamps from LEDVANCE will be listed in the Relux and Dialux planning software by the time of the market launch for the new lighting season. Also new is the fact that for its LED luminaires marketed for lighting professionals via wholesalers LEDVANCE is now exclusively using the LEDVANCE brand at product level. 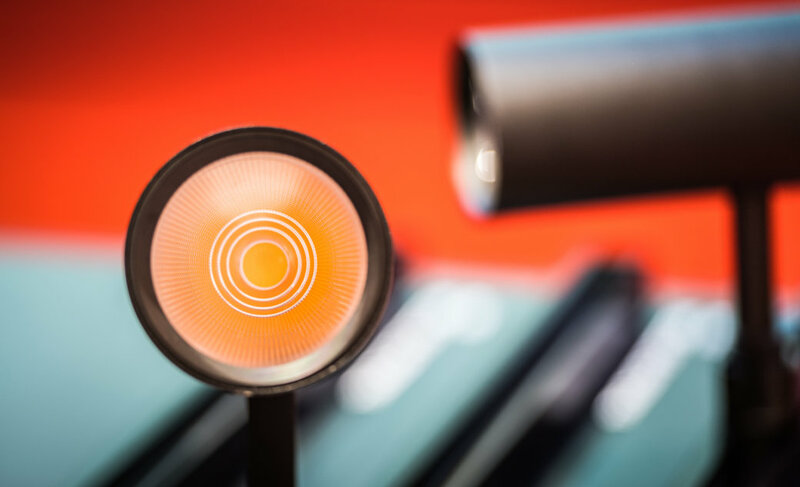 The brand name of OSRAM will continue to be used for the LED lamps, however.